The City of Fort Collins sells discounted short-term ($6) and long-term ($20) radon test kits and are available for purchase at the Fort Collins Senior Center (1200 Raintree Drive). If you reside outside the City limits you can order a radon test kit from the Colorado Department of Public Health and Environment. Radon test kits are very time-sensitive and must be processed by the lab within 8 days after the test kit is sealed up. Failure to follow the instructions can cause the lab to invalidate the results. Be sure to carefully read and follow the instructions that come with the test kit. Radon is an invisible, odorless, radioactive gas created during the natural decay of uranium in the soil. Radon is everywhere, and Colorado has higher concentrations than other regions. Radon gas is drawn into homes and other buildings through cracks and openings in basements, crawl spaces and slabs. Radon levels vary from house to house and have nothing to do with age, quality or upkeep of the home. Radon gas has been shown to cause lung cancer in people who are exposed to elevated levels over a long period of time. The US Environmental Protection Agency (US EPA) recommends radon reduction if your home level exceeds 4 picocuries per liter of air (pCi/L). If you smoke and your home has an elevated radon level, your risk for lung cancer is especially high. 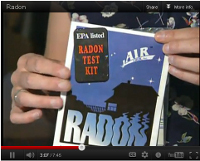 Test for radon in your home! Radon is easy to test and easy to fix. What are Radon Levels in FC? Thousands of Fort Collins homes have been tested for radon by individual homeowners and private radon testers. Test results indicate that three out of four Fort Collins homes have radon levels of 4 pCi/L or above. But don't let these numbers scare you away from Colorado! 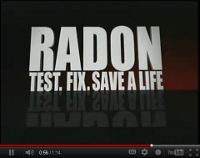 Radon is a problem that can be fixed. The City of Fort Collins sells discounted short-term ($6) and long-term ($20) radon test kits that allow you to test your own home. They are available for purchase at the Fort Collins Senior Center (1200 Raintree Drive). Click here for details and instructions on how to use these test kits. If your are outside the City limits, you can order a free radon test kit from the Colorado Department of Public Health and Environment. Hire a professional. The Colorado Department of Public Health and Environment (CDPHE) has links to radon measurement and mitigation contractors that are certified by the National Radon Proficiency Program and the National Radon Safety Board. You can use these links to find qualified radon contractors in your area. Sign up for a Healthy Homes Assessment. These free assessments for Fort Collins residents, provide a comprehensive look at factors in your home related to indoor air quality, health and safety. Each assessment includes a free short-term radon test. Visit Healthy Homes to learn more or schedule an assessment. Don't be discouraged if you find elevated radon concentrations in your home! Radon problems can be prevented by installing a radon mitigation system. A plastic pipe is connected to the soil beneath a slab, basement or crawl space floor and then extended to the outside of the home, where radon gas is harmlessly exhausted into outside air. A continuously-operating fan ensures the system's effectiveness. The Colorado Department of Public Health and Environment (CDPHE) has links to radon measurement and mitigation contractors that are certified by the National Radon Proficiency Program and the National Radon Safety Board. You can use these links to find qualified radon contractors in your area. You can also find radon professionals in the phone book under Radon Testing or Radon Mitigation.